Attention All Philadelphia Eagles Football Fans! 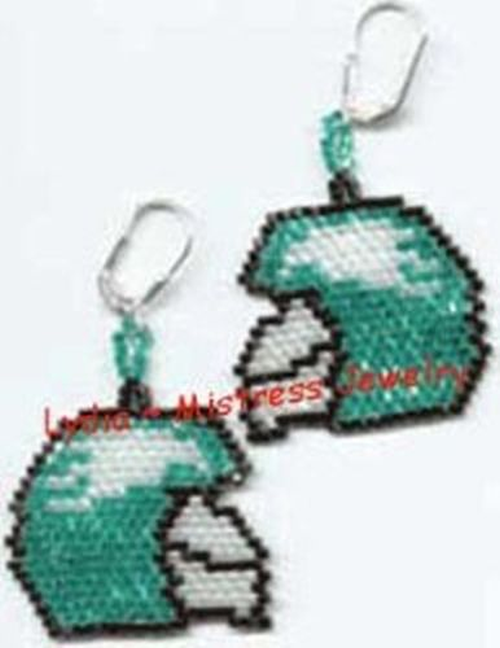 Now you can bead up your own Eagles Football helmet Earrings to support your favorite team! This pattern is in Brick stitch and works up quite fast!